Since hotter and boiling days is coming, cardio exercise (running, cycling …) is not recommended when temperatures are high. We have to choose the time when to run, morning or evening, when temperatures are suitable. There is a cardio workout that is very suitable for the high temperature, you can practice all day, and it is very topical for the summer holidays, it is SWIMMING. In this article, we’ll clear up some little things about swimming, and also how you can lose weight and sculpt your body by swimming. First to say that swimming, in the judgment of experts and the research, falls into one of the most difficult sports, next to the MMA, Rowing, Rugby and others. Swimming is an activity where it consumes approximately twice as many calories than other activities. Depending on the style and intensity of swimming style consumption ranges from 8 to 15 kcal per minute. Swimming engage the entire musculature, and all parts of the body (arms, legs, abdominal wall, CORE, back, shoulder), and also overcomes the resistance of the water. Time and strengthen the muscles of the shoulder and back especially for Butterfly style. Losing weight and shaping the body for swimming occurs cyclically and gradually. By strengthening muscles, increasing the consumption of calories to activity itself and through an accelerated metabolism and greater calorie consumption through a stronger muscle, leads to consequences that calories are consumed rapidly, reducing the pounds, fat removed and the whole body shapes. Swimming style, intensity and duration of activity also is affects. Butterfly style is certainly the most challenging but also the most effective in strengthening the body, while the style Breaststroke requires less power but can longer be practiced which will in time result in higher consumption of calories. Natural free and backstroke swimming stile are very effective and recommended. How to Swim. If you are a beginner you should start slowly and gradually. That means 30 seconds of swimming and 30 seconds of rest. Increase the active phase and reduce the break until you reach that you can swim for 40 minutes without stopping. Once you reach this level of swimming for 30 to 40 minutes 4 to 5 times a week. Another important thing is breathing, which must be in line with the movements and swimming techniques that will facilitate propulsion – slipping through the water. The third thing is proper and essential nutrients rich diet in order to have enough power for the activity and enough material for recovery. And of course the definition of weight loss: burn more calories than you consume. Swimming is mostly harder than other fitness activities. In about 60 minutes of swimming, you can spend from 800 to 1000 kcal, depending on your weight and exertion. The good side of swimming is to increase endurance and stamina. You will not believe how much better user you when you go to run or indulge in an activity on land. On summer you can swim whenever you want, all day, on all water surfaces with conditions, and a very important thing without sweating and dehydration of the body. Swimming has another advantage in strengthening the CORE muscles, especially in the injury and recovery, because water favors the relief of the body and certain parts. Special boast swimming, from my personal experience, especially with the style Breaststroke recovering from shoulder injury, dislocation of the shoulder joint and torn leagues. On skiing I had serious shoulder injury dislocations and fully stretched ligaments, after only two months breaststroke swimming stile on the bench press I raised the weight of 100 Kg. As a longtime member of the rescue service and lifeguard team at one of most dangerous beach on the Danube in Novi Sad – Serbia, and the beach during the EXIT Festival, can boast a good experience and a good knowledge gained through training and experts from whom I had the opportunity to learn. And also Swimming was one of the most favorite exam to me, at the Faculty of Sport and Physical Education. As we have previously reminded the caloric deficit, mean spend more calories than what you entered and thus lose weight. The energy that is consumed must be repaid only in the form of nutrients (protein, carbohydrate, vitamins, minerals) that are consumed and broken down during exercise, so body need to be quickly recovered and the cells restored. Compensating for consumed energy, introduction of calories burned along with the phrase “I was practicing very hard so now I can eat a lot and everything”, you enter more calories that will be not burned, but this only prolongs the period of achieving the target. Most important is, the food need to contains a sufficient percentage of protein and complex hydrates with low values ​​of calories that will compensate the degraded matter, and also to encourage the body uses fat as a result of caloric deficit. The values ​​of consumed energy range of 1.2 kcal per minute during the rest, to more than 20 kcal per minute during intensive activity. Which means that if you are a beginner and consumes an average of 10 kcal per minute, this is just 600 calories in an hour of training, which is half meal in McD. This shows how little the ratio is of energy consumed in training and the energy input on classical food. Today it is said that the relationship between DIET and WORKOUT as a percentage of 80:20 in favor of nutrition, if we want to reach certain results. The data and experience tells us that, professional athletes in body fitness or bikini models, to achieve the desired figure, in the final preparations they have only 3 sessions per week, and the rest is food and tactics when and what nutrients should be consumed. Exercise is very helpful in terms of speeding up metabolism, blood circulation, healthy airways, vitality, tight muscles and healthy ligaments, joints and bones. These are the benefits of exercise, which will be given to the regulation of feeding results. The determination and compliance advice and guidance to give by trainers, is the most important thing for certain success. Period for achieving results can be very short if you are focused on the target, otherwise, in violation of the rules, only dispose of success, to whom might never come. It depends on you! I guess you don’t think a lot about some things that you’re doing when you’re young, everything is fast and easy. My generation who has gained thirties, the more and more complains about their weight and a lack of energy. The facts that are explaining does the metabolism truly slows down, why does it and how you can keep your body in shape, will be faced in this text. After you make a step into the thirties, or earlier in some cases, your lifestyle is starting to change. For example: marriage, kids, job, obligations, success and there is a lack of free time for yourself. Research showed that average metabolism or the calories burned in a day decreases for 1% each year by the time you turn 30. If you keep on having the same amount of food as you did in your twenties, your body wouldn’t be able to burn the quantity of calories, which results in extra pounds. This especially relates to athletes whose careers ended and they keep on having the same food portions, but the metabolism is noticeably slower due to changes in activity. Slower metabolism affects on hormonal balance in your body, too. The more your body fat is elevated, the harder is for your body to control leptin and cortisol that are close related with your weight. Leptin controls appetite and cortisol controls regulation of carbohydrates and their conversion to mass units. Some scientist and doctors are representing the theory that only lifestyle and lack of activity cause slower metabolism, they also claim that it’s only about activity, not the ages, that people aren’t as much active as they used to be. The only habits that keeping up your metabolism like you’re still 20, are: healthy nutrition, exercising and drinking a plenty of water. There is also a recommendation to reduce ingredients such as sugar, gluten, dairy products and cereals. Experts claim that people by the time they are 30 need to drink filtered water instead of bottled water, to eat organic food and healthy meat. Let your breakfast be healthy, your food non-greasy and portions of vegetable and fiber bigger. Eat moderate, eat more of food with no high acidity such as red meat, alcohol and sugar. One glass of wine is enough after dinner. As regards to exercising, three times a week without great effort is quite enough. Light cardio, a walk, swimming, running, climbing, rowing… basic exercise at home or in the park. Festive atmosphere, celebration, positive energy and holidays, is usual for this period of the year. We will be tempted to consume a little more alcohol, candy and foods that contain a high percentage of simple sugars. Let’s experiment with your organism. After passing the holidays and the period of overeating and drinking, we reject the use of alcohol and simple sugars for a month. The effect that this kind of fasting will have on your body will be described herein. Start and first few days or weeks will be much shocking for your body. The most important thing is to stay strong character and adhere to the task in the next month. Here’s a story I heard a few days ago, I had something to do with this: It started a few frogs to come up on some top … first gave up because her feet hurt, other began to catch cramps, third is dehydrated, fourth complains of pain, and so on … remain the last two frogs near to the top, and first the second frog says, you see that they are all given up, even I can no longer, because of inflammation, cramps and also no matter what I’m up … the latter on second frog still continues itself, and reach that conquer the peak. The frog who arrived to the finish was deaf. Due to the introduction, blood sugar soaring, then rapidly decreases, and you get the need for a new batch. There is no end and thus accumulating calories. A total exclusion of complex sugars from the diet, losses calories, that will not bring calories are converted into fat, and you will lose kg. Alcohol is full of sugar and calories, so you drink more and more. The same effect as that of sugar. Restriction of alcohol lose calories, weight and make you lean. 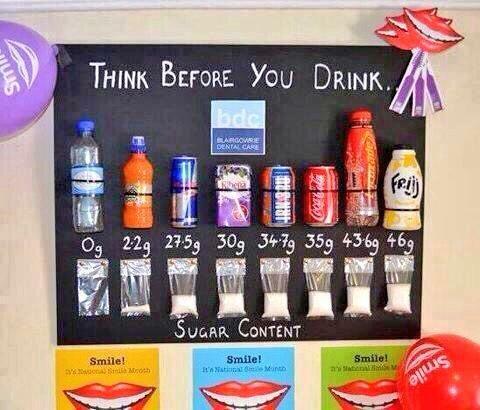 Sugar and therefore alcohol is difficult to digest. 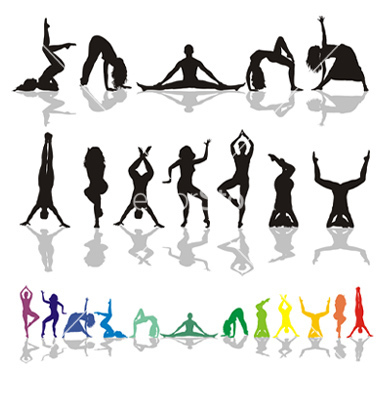 Their restriction, the body and digestive system becomes more functional and faster. 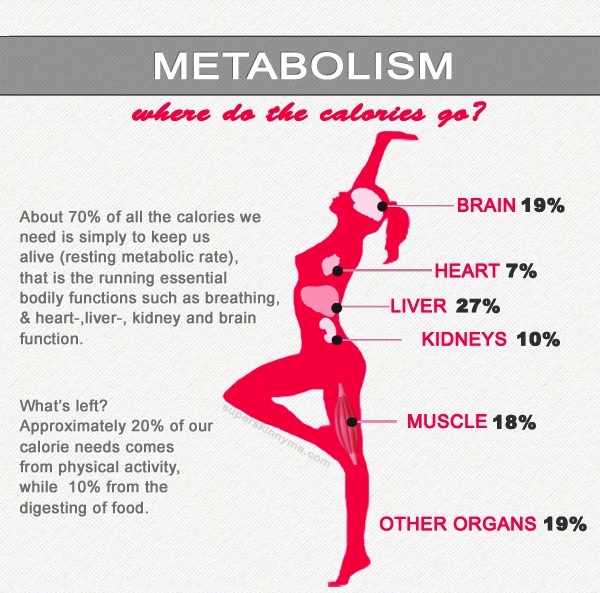 The metabolism becomes more accelerated, increases the calorie consumption and fast food is absorbed and processed. Energy. Before we lose and decrease our energy compensating energy drinks or chocolates, it is wrong, because the level of sugar is growing rapidly and then declines sharply, energy recovery is instantaneous and there is no long-term effects. Research shows that after a few drinks of alcohol suddenly increases appetite, a person can eat up to 30% more food than if they did not consume alcohol. The feeling of satiety is harder achieved, that hunger is increasing. Alcohol is a diuretic, and as a result of its consumption leads to frequent the toilet, urinating. Due to the loss of fluid in the body, comes to drying your skin especially on the face. Pause in alcohol consumption will refresh your face and skin a better complexion. Over time, the desire for alcohol and sugar lost, you will not have attacks for sweets, and run to the store to buy a candy bar. Withstand the month, the benefits are guaranteed. Be amazed at the results, and try to continue with this diet. It stumbled your way and style of life. The most important thing is to stay consistent, because every beginning is difficult like this one. Running is the most common and most popular form of physical activity that we practice just to be physically active but also remove the fat and lose weight. There are many doubts about the effectiveness for this physical activity on the body and also for losing fat. These concerns and some interesting questions will be answered below. Half-hour training at low intensity loads, in which the heart rate is 50% of your maximum heart rate, burning a total of approximately 250 Kcal. If we know that the source of 90% energy is from fat, it means that we have burned 250 calories from fat. If, however, the training workload where your pulse is 75% of maximal, use up to half an hour in total 447 calories. Since, energy source is 60% of the fat will burn 268 calories from fat. The conclusion is that, if you running fast you will burn more fat, beginners will not be able to maintain a high intensity training due to lack of training and lack of fitness. In addition to a reduction of the length of training and increasing the intensity increases, the possibility of injury due to the great efforts. All this shows mean FOR BURNING FAT RUNNING SLOW AND LONG. The intensity should be at a distance of 50% to 65% of your maximum heart rate, which is the slow pace of running or jogging. Maximum fat oxidation occurs with exercise intensity of 65% VO2max (maximal oxygen consumption, maximal aerobic capacity). Increased fat burning starts only after 20 minutes of running. For fat loss, best way is combination running with other exercises. Running is a catabolic process so you loose fat, but you lose muscle mass and nutrients important for the body. Belt for running and sweating, have no bearing on the melting fat. They only cause unnecessary sweating, loss of fluids and increasing temperatures. The amount of sweat has little to do with energy. Sweating depends on other factors such as external temperature, humidity, lack of fitness, degree of obesity, clothing, types of work from doing. Each, hard work and effort will be certainly useful, you just have to follow the rules and follow guidelines that are already well down the years studied and tested. Any sudden and rapid changes in your body, including losing weight, will eventually affect and cause negative consequences to a function in your body. Gradual progress will be much healthier, and later with a long-term result. Why is it important to know what is the basal metabolism, what his value is for men and women, how you can calculate, and other useful information you will find below. Basal metabolism calculates the minimum amount of energy needed to maintain basic life functions. This is what your organs expended in standby mode, or the energy that you need to sustain life. The liver is the largest consumer of energy in the rest (about 27%), and brain (19%), muscle (18%), heart (7%), lung (9%) and kidneys (10%). Expressed in calories, the average rate basal metabolic rate for adult men is about 1500 to 2000 kcal / day, and for women from 1200 to 1600 kcal / day. The reason for the difference lies in the smaller internal organs of women and less of muscle tissue (less total cell mass). Dominant factors affecting basal metabolism of the body size, age and gender. Besides the food intake affects the basal metabolic rate – starvation reduces basal metabolism by acting as a defense mechanism that the body defends and saves energy. Physical activity also changes the value of the basal metabolic rate – after completion of the physical activity we can see an increase in metabolic rate. It was observed that after long activities (80 to 180 minutes) of moderate intensity comes to long-term increase in metabolism at rest that lasts 24 to 48 hours after training. It is well known that the metabolism at rest increased by 200 kcal / day in people who are regularly physically active compared to sedentary individuals. If you know how much is your basal metabolism and you know that an average workout in the gym spend from 200 to 500 calories (depending on the duration and intensity of training), then you know to your daily calorie intake customize your order. If you intend to lose weight, calorie intake must be less than your total daily consumption (basal metabolism plus activity). Ideally, this deficit is about 500 kcal. Conversely, if you want to weight, eat 500 calories more than what your daily spending. Physical activity increases muscle tone, improves physical appearance, improves health, increases the consumption of fats influence, and many other functions positive for the organism. The combination of physical activities and carefully dosed calorie intake should become a way of your life, in order to consistently maintained their body weight. See how you can combine nutrition and physical activity in an effort to reduce or control weight. When you combine these two things, you can eat more and still lose 0.9kg undivided if you calories deficit is 1000 kcal a day (the ratio between the entered and burned calories). 7000 kcal per week. The account is simple: 0,45 kg fat has 3,500 kcal, and 7000 kcal is 0.9 kg. For example, if you have 9 kg overweight and belong to a group that has poor physical condition you should do: first reduce your daily intake calories for 500 kcal less and than begin the exersises. If you continue with active life and increase your daily consumption of calories through activity in more than 350 kcal departures daily, you will be able to eat what you want, and sometimes let yourself more than recommended. If you continue to avoid fatty foods and enhance physical activity, you will be able to actually eat whatever you want with no consequences for health and weight. It is very important with this way of losing weight that you don’t losing nutrients, minerals, proteins and vitamins that could be lost with classical dieting. If you avoid meals to reduce your weight, your metabolism will slow down, and cholesterol levels will rise. With this combination you will also speeds up the metabolism, you will get good shape and raise your physical activity. There is a way for 12 weeks to achieve your ideal body line for the upcoming summer. Why obese people are never enough full after big meals? Why feel hungry an hour after a heavy meal? And they need to be changed to uncontrollable hunger ceased? For starters should be distinguished nutritional and energy (calories) worth of food. Some foods can be high-caloric, given at the time of high energy level (sweets), but the body can not get away from them to any building blocks, and practically remain hungry. Addition to that, the more (junk food) intake, the body is more desirous of nutrients. What should a person eat eggs, meat and fish because he needed proteins (instead of salami, pate and sausages), vegetables and fruits, because its essential vitamins, minerals and antioxidants. There are also the carbohydrate and fat content, but not any. Where they are located. In the past often use the term “empty calories” food boxes rich in carbohydrates and low in protein, vitamins, minerals, amino acids and fiber. There are thoughts: on sweets and other foods that contain sugar (chocolate, sweets, biscuits industrial …), refined grains like white bread, white rice (rich in starch), saturated fat, fast food (hot dogs, hamburgers, fried potatoes …), alcoholic beverages. Especially rich in calories is fried foods (French fries, fried chicken and chips), and very low in nutrients. Large portions, for example, fried potatoes retain 570 calories, which is a third of the daily needs calories for women, and a quarter of the daily requirement for men. How to resist them. Try to hundreds of smaller fry, and the more you cook the food. Baked potatoes can replace fries and roasted chicken. Avoid carbonated beverages. In addition to large amounts of sugar, quinine in many drinks can reduce the number of platelets in the blood and that adversely affects the liver.Classic bread to replace white bread with whole black beans. Bread with whole grains contain fiber, which facilitates digestion and antioxidants. Classic snacks replace for fruity snack or some integral biscuits that contain grains. Sweets should be replaced by fruit, dry fruit, nuts. Increase the intake of foods that have a high nutritional value and energy. Include in your diet as many vegetables such as peas, carrots, beets and corn, which have a higher energy value checks green, leafy vegetables, and it is rich with water. Energy value of certain types of vegetables increases in preparing olive oil and other vegetable oils. Reduce the consumption of vegetables and foods rich in dietary fiber, which makes voluminous meals. Such a diet prolongs the time of digestion, satiety and energy intake is low. This applies to foods rich with water. When it comes to training, give priority to the gym. Repeat each exercise eight to ten times, with a pause of a minute or two. The best is that in one training run six to eight exercises and engage only two muscle groups. Observe the proper technique of performing the exercises.